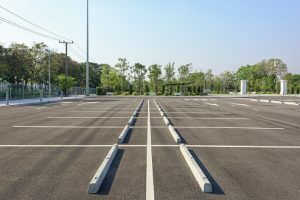 We've got you covered for Parking Lot Repair, Paving and Maintenance. The Choice of Millions Worldwide… Hot mix asphalt is attractive and it creates an inviting pathway and an affordable parking lot. It’s quick to pave with and use. It’s easy to maintain and looks great. Commercial and industrial builders like hot mix asphalt for the same reasons that road builders do. It combines a smooth, sound-absorbing driving surface with an attractive appearance. In the winter, it absorbs heat to help melt snow and ice quickly, it is easy to plow, and won’t damage easily. In warm weather, it provides the most durability. If you don’t know Plehal Blacktopping, your friends probably do. Plehal has been constructing new and rebuilding old parking lots in the Twin Cities since 1949. That means Plehal Blacktopping has more options, and more experience to help you find the perfect solution. Our materials and design specifications are selected to fit your needs, our staff is specially trained to deliver on what we promise, and our commitment is to “Building the Best”. Minnetonka, Minneapolis, Eden Prairie, Edina, St. Louis Park, Hopkins, Golden Valley, Wayzata, Excelsior, Mound, Richfield, Bloomington, Burnsville, Apple Valley, Lakeville, Prior Lake, Savage, Shakopee, Chaska, Chanhassen, Jordan, Belle Plaine, Elko, Farmington, Plymouth.